If you are looking for ways to improve the quality and value of your home, then there are many things you can consider. From increasing the square footage to redoing the kitchen, some of these improvements may cost you a great deal of money in the process. A simpler, more straightforward, and drastic for the better change you can make is replacing your old and worn out windows. In particular, vinyl windows can provide incredible benefits to more traditional windows, improve the overall quality of life inside your home, and also increase the value of your home. So, what are vinyl windows and where can you get them? Lets find out. Vinyl windows provide a number of benefits thanks to their complex yet streamlined design. They come with low E coated glass that is filled with argon and has an NFRC U-rated ,27 or below. In addition, they have triple weather stripping to ensure less air infiltration. What all of this means is that your vinyl windows will keep in temperatures and save you big on yearly heating and cooling bills. In addition, they represent an investment in your home, increasing its value when going to sell. Vinyl windows are also excellent at noise reduction, they are easy to clean, they eliminate the risk of termites, they have no condensation forming, and they come with child safety locks. 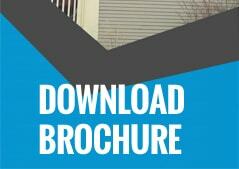 The one challenge many people have is finding a window installation company they can trust. 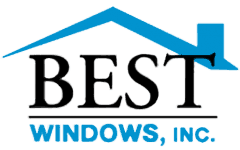 Winning the trust of Oak Brook residents one client at a time, Best Windows Inc. is the company for you. Along with four consecutive years of winning the Angies Super Service Award, we have also been recognized by the Kensington High Performance Window Dealer of the Month. We continue to stand above the competition because we provide the highest level of customer service, the highest quality service, the best products, the best warranties, and the fastest deliver time. We would be nowhere today without the continued love and support of the community we serve. Best Windows Inc. is about providing a meaningful service first, and making a profit second. We understand that our relationship with our clients is the most important part of our business, and we will work to continue earning our excellent reputation with every job we do. Please feel free to give us a call at (708) 204-2446 or fill out a form on our website where we will be able to get back to you via e-mail. You may also visit our website Best Windows for more information about vinyl window replacement Oak Brook IL.